The University of Leeds has published a Science and Innovation Audit, commissioned by the Department of Business, Energy and Industrial Strategy (BEIS), to highlight investment opportunities for medical technologies. Government, industry and the NHS needs to invest between £200 million and £250 million in the Leeds City Region’s medical technology sector over the next five years, to enable it to exploit opportunities in the global health market – according to a new Science and Innovation audit. The audit highlights that investment could generate around an extra 4,000 jobs, taking employment in the sector to around 15,000 workers. The global market for new medical and healthcare products is growing rapidly and is expected to increase over the next five years, with a value that is anticipated to reach more than half a trillion dollars. Most companies operating in the sector are small to medium sized enterprises with turnover below £5 million. But the audit found those SMEs face obstacles which are preventing them from taking advantage of the opportunities in the emerging global health market. They find it difficult to get new medical devices tested or evaluated in the NHS. Without effective evaluation they will not get to market. There is a shortage of appropriate multidisciplinary graduate engineers. There are not enough medtech technology and innovation parks where industry and researchers can collaborate – and industrial centres of excellence can be developed. There is a lack of wider business and innovation support to help companies navigate a complex and highly regulated sector. The report concludes that there should be the establishment of a clinical evaluation hub – a ‘test bed’ – where med tech companies can work with the NHS. There should also be a med tech skills academy and a med tech innovation hub supporting companies from research through to evaluation and market – with advice on business support and finance. Commissioned and published by the Department of Business, Energy and Industrial Strategy (BEIS), Science and Innovation audits help regions map research and innovation strengths and identify areas of potential global competitive advantage. The Leeds City Region audit, ‘Opportunities and Growth: Medical Technologies’, has been led by Professor John Fisher from the University of Leeds, in partnership with the Leeds Enterprise Partnership (LEP), the region’s universities and local businesses. This is a second wave of audits, being launched today by Business Minister Lord Prior at the Venture Fest East conference in Newmarket. Lord Prior said: “The Science and Innovation Audits we are publishing today highlight the innovative strengths in regions across the UK and the significant growth and investment opportunities they present. The audit follows the Government’s Life Sciences Industrial Strategy in August 2017, which referenced the importance of the medical technology sector, as well as the medtech capabilities of Leeds and its support for more than 200 medtech companies. The audit highlights how new market opportunities are not coming from the refinement of existing devices but through game-changing innovation, the creation of brand new products and services forged from the convergence of engineering, digital technologies and life sciences. 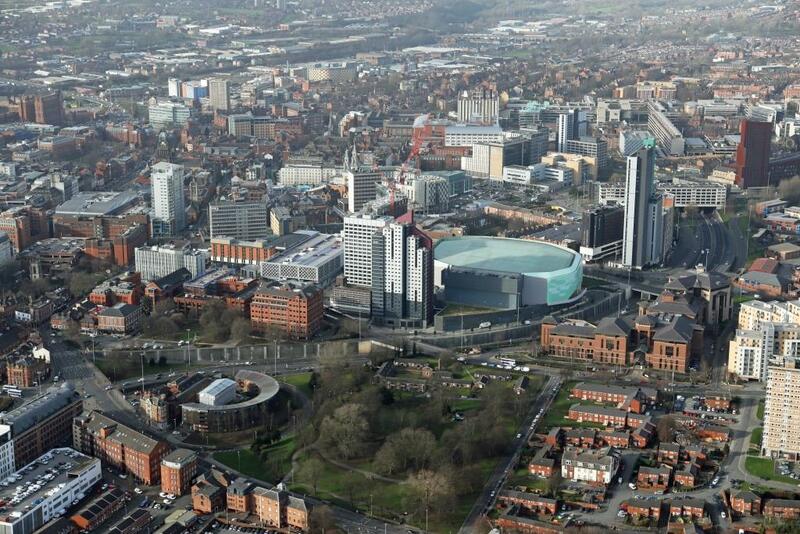 The Leeds City Region has a long association with the med tech sector – through the manufacture of medical devices and cutting-edge research at the region’s five universities. There are around 250 businesses in the region specialising in med tech and another 200 digital and technology firms operating in the health field. Nearly a quarter of the UK’s digital health jobs are in the region. “Opportunities and Growth: Medical Technologies for Leeds City Region” is one of several regional audits published today. The full report can be found at http://leedscityregionmed.tech. Its publication coincides with the West Yorkshire Economic Growth Conference on 22 September in Leeds, which brings together public and private sector leaders to consider the key business themes and opportunities for growth in the region. Sir Alan Langlands, Vice-Chancellor of the University of Leeds, is on a panel to discuss how the region can develop the skills needed to grow the economy and to retain a strong graduate presence in the North.